Pattern Explorer is a reliable tool for applying all the power of the most popular Japanese Candlestick Patterns. It uses Machine Learning algorithms to confirm all the patterns. 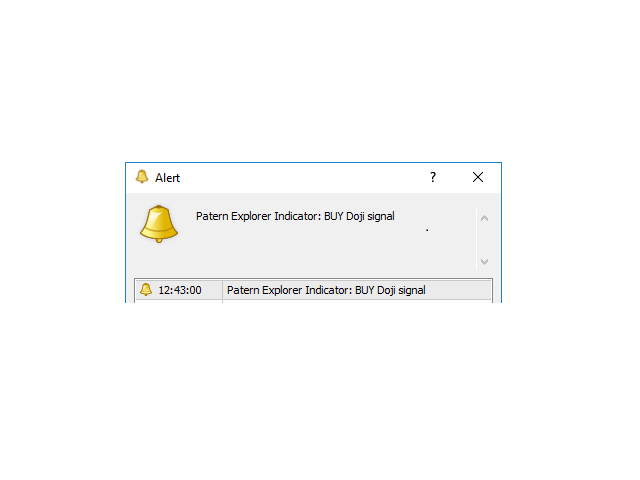 Pattern Explorer Pro Version has a unique Machine Learning filter that automatically detects when a candlestick pattern is valid or not based on a unique probability model. 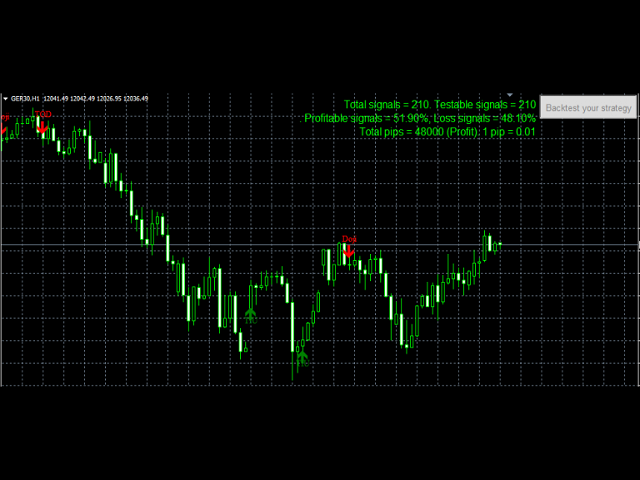 Total pips that the user would make on the usage of the specific selection: 48 000 in profit. Since the applied instrument is the Indice GER30 (DAX) and just because 1 pip = 0.01 points on GER30, it means that the selected strategy would produce 480 points in profit!